(CBS News) A stomach bug might be unpleasant and debilitating for sufferers, but most people usually recover within a week with fluids and rest. A new report from the CDC, however, shows death rates from these stomach illnesses, collectively known as gastroenteritis, have doubled over the past decade. "Gastroenteritis is a major cause of death worldwide," lead researcher Dr. Aron Hall of the CDC's Division of Viral Diseases, said in a written statement. "By knowing the causes of gastroenteritis-associated deaths and who's at risk, we can develop better treatments and help health care providers prevent people from getting sick." The CDC's report found that between 1999 and 2007, gastroenteritis-related deaths increased from nearly 7,000 Americans annually to more than 17,000 people per year. Adults 65 and older accounted for 83 percent of deaths. 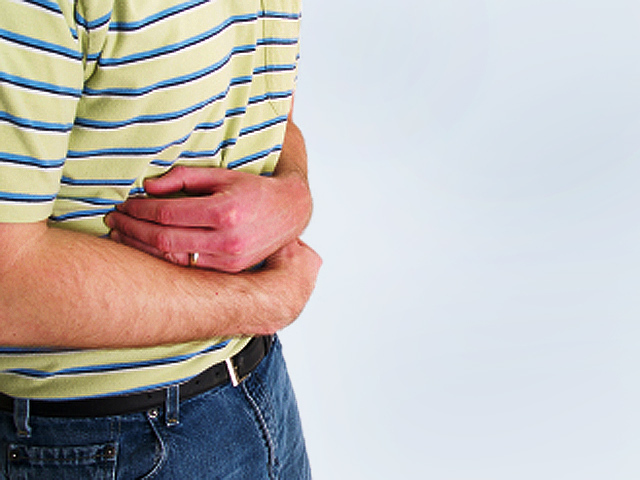 Gastroenteritis refers to inflammation of the stomach and intestines that causes vomiting and diarrhea. It can be caused by different types of bacteria, such as E. coli, salmonella and campylobacter, or viruses, including rotavirus and norovirus, and despite being referred to as "stomach flu," influenza virus isn't one of them. What drove up gastroenteritis death rates? Clostridium difficile, or C. diff, a bacterium found throughout the environment but commonly spreads at hospitals, and norovirus, which is highly contagious and known to spread on cruise ships and college campuses, and were the two most common causes of gastroenteritis-related deaths. Much of the recent increase in deaths is attributed to the emergence of a treatment-resistant strain of C. diff, the researchers said. C. diff-related deaths were found to have quintupled from 2,700 to 14,500 deaths over the eight-year study. Norovirus causes more than 20 million illnesses annually, and it is the leading cause of U.S. gastroenteritis outbreaks. "While C. difficile continues to be the leading contributor to gastroenteritis-associated deaths, this study shows for the first time that norovirus is likely the second leading infectious cause," said Hall. "Our findings highlight the need for effective measures to prevent, diagnose, and manage gastroenteritis, especially for C. difficile and norovirus among the elderly." According to the Mayo Clinic, gastroenteritis often can't be treated and doctors are hesitant to prescribe antibiotics if bacteria are the cause because it could lead to resistant strains. That's why prevention is so important. Washing your hands thoroughly, avoiding sharing food and towels, utensils, and plates, avoiding close contact with people who are sick are the best ways to prevent. For people traveling overseas, drink only bottled or carbonated water -even when brushing your teeth, avoid ice cubes, raw foods like fruits and vegetables that could have been grown in infected soil or touched by infected hands, and avoid undercooked meat or fish. WebMD has more on gastroenteritis.